Lately, it seems to be all about BROWS and contouring. Brow pomades, pencils, gels, fibers, even brow extensions. 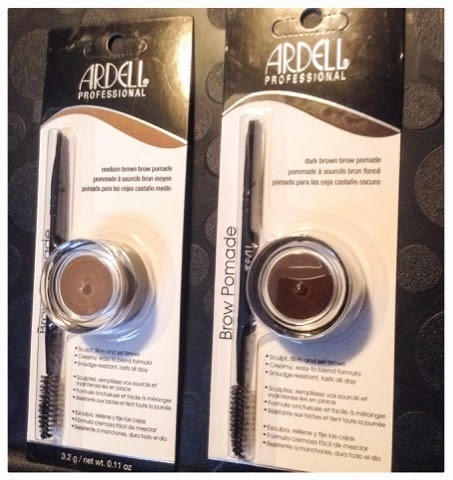 So, as a good blogger, when I spotted these new ARDELL PROFFESSIONAL BROW POMADES at Sally's Beauty Supply, I had to pick them up and try them out. 3 colours are available, blonde, medium brown and dark brown. I picked up medium and dark brown. $8.49 each. The pomade is very creamy, smooth and very pigmented, a little goes a long way so dip your brush very lightly. The pomade goes on effortless, it just glides on. The brush that comes with this pomade is wonderful to create little strokes of hair and the spoolie is firm enough to blend the pomade through your brows. 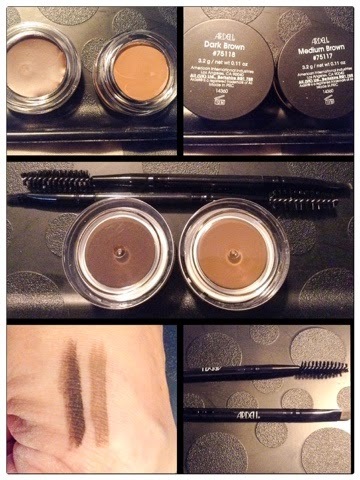 The formula is very long lasting, smudge resistant and can be used as a primer for your powder brow products. I used both medium and dark brown ARDELL BROW POMADE to create a soft gradient effect on my brows. 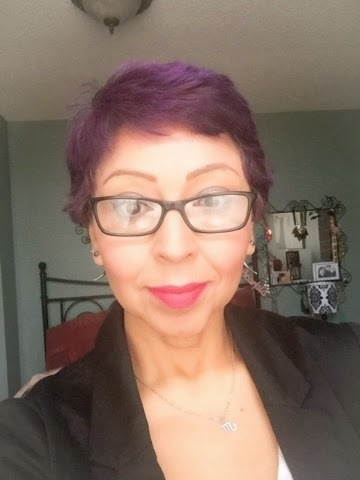 It's so easy to apply and loving the look of my brows. Looks nice. Thank you for the review! Hi! did you use both combined or the dark on the tail and the light on the front? i see midium brown is pretty light or its only on the picture?